When you need electrical work done within your home, your business, or anywhere else, you have options available to you. Understanding DIY versus handyman versus licensed electrician will help you to determine how to get the work done, and ensure that the work is done right. While you can certainly save a significant amount of money taking the do-it-yourself approach, you may run into situations where you are simply not skilled enough. You also have to look into some of the DIY problems that may occur, such as not getting the right permits or not using the right tools. Often, DIY electrical work ends up costing you more money because it isn’t done properly and then you need to hire a professional in order to re-do everything you have done. A handyman, otherwise known as an unlicensed contractor, may be a more affordable option when you need to have electrical work done. There are plenty of websites where a handyman can be found, and you might even be able to find one through “a friend of a friend.” Most of the handyman throughout Nevada are unlicensed and don’t have many qualifications when it comes to working with electrical outlets, wires, and tools. In many instances, a local handyman will have more equipment than you, but probably haven’t seen many more YouTube videos on how to do the work then you have. This means that they aren’t going to be able to provide a high quality repair, and they may not have any knowledge about how to pull permits for the work that is being done. This leaves you extremely vulnerable to the work that is being done, whether it is inside your home or business. Additionally, if a handyman hurts themselves on your property, they are unlicensed and therefore you are held liable. Their injury could end up costing you a fortune on your insurance premiums – and this means that the repair just got a whole lot more expensive. 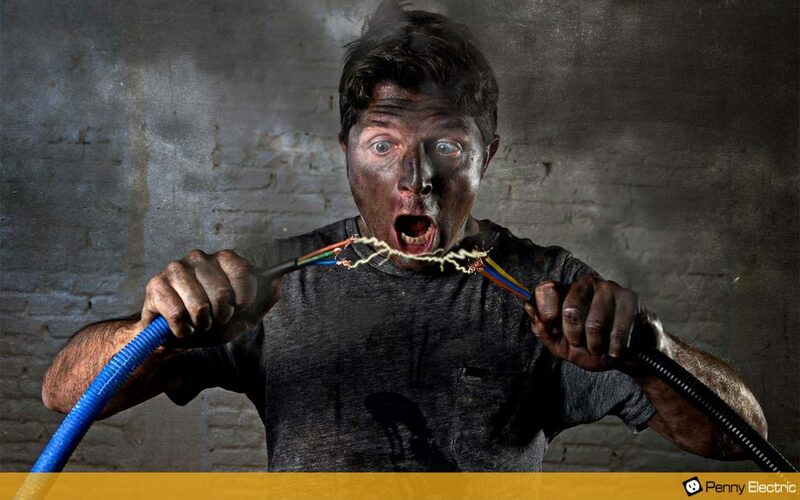 A licensed electrician will be able to handle any electrical issue that you have. They will have the necessary tools and education to avoid problems. They will also have the knowledge on how to pull permits within the city of Las Vegas to avoid issues later on. When you decide to hire a licensed electrician, it’s important to ask for their license, look at their qualifications, as well as the amount of experience they have within the particular area of electrical work that you require, whether it is adding outlets, replacing switches, installing appliances, or anything else. You can also obtain a warranty for the work that is done so if there are issues later on, you have recourse. It’s up to you to determine who you are going to work with in your home or business. You can always try and do things on your own, but it may end up costing you more because of your inexperience, your failure to pull permits, and potentially even the damage that you create because of not knowing what you are doing. Electricians go through a significant amount of training because dealing with electricity is complicated. The state issues licenses in order to ensure that you are dealing with a knowledgeable contractor. In the end, it comes down to hiring a licensed electrician who will be able to show you their license and avoid potential hazards. If you find that someone is doing business without being a licensed contractor in Nevada, you can report them. Find out more about hiring a licensed electrician in Las Vegas by contacting Penny Electric today.